I mentioned this in an earlier post on graveyards but this really has to be seen to be believed. 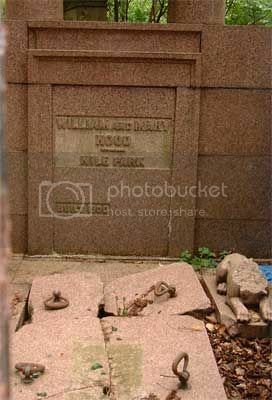 The mausoleum bears the simple inscription "William and Mary Hood Nile Park Built 1900". 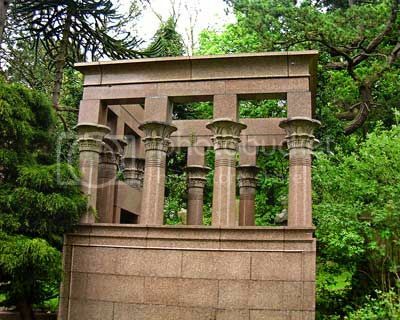 The mausoleum has decorative papyrus leaf pillars and an "eye of horus" above the entrance. The stone used for the construction is a lovely red polished granite. I go back and visit this grave from time to time as it is simply stunning. I took a friend along recently who done a websearch and discovered William Hood was actually the second owner of the "Greek Thomson" villa "The Knowe" located at Shields Road Pollokshields. He renamed the house "Nile Park" during his tenure. Mr Hood was a Butcher and must have been a man of considerable wealth and standing. I took photos during my last visit. Unfortunately i do not know how to send photos to my photobucket account or indeed post them on the forum. If someone can tell me how to do this i will gladly share them. I believe Stan Laurel's mother is also buried there. Can anyone tell me where her grave is ?. Stan laurel's mum is indeed buried there. On a Hg walk around there one day we searched for it, but could not find it. even though we had the grave number. Its possible it might be pushed over. Photobucket is quite easy to upload to, im sure there arei nstructions in their site. But may I suggest flickr, It has a lot more options and it free. Thanks for the reply. I am probably better getting someone to show me how to upload from photobucket. I always find instructions make the most simple task sound complicated. As for Stan Laurel's mother's grave the local "tent" of the "Sons of the Desert" probably know the location. johnnyanglia wrote: I believe Stan Laurel's mother is also buried there. Can anyone tell me where her grave is ?. 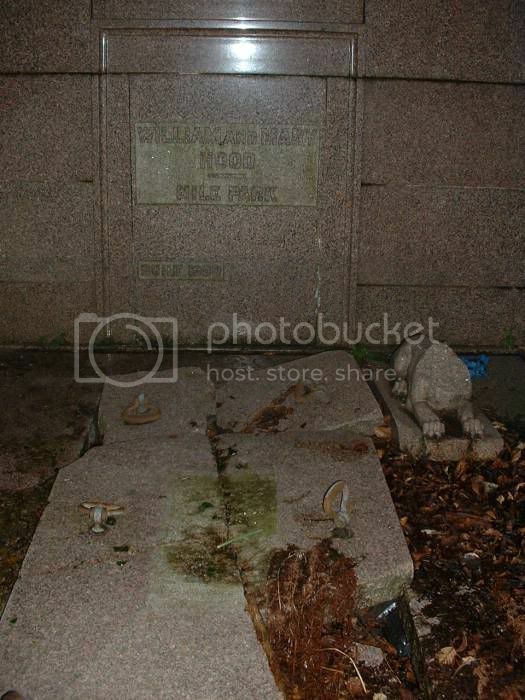 The grave is unmarked and is to the right of the Ethel Craib stone. Ask Ronnie but I think he Hood was a butcher? My thanks to crusty bint, schiehallion and cumbo for your replies. A couple of questions however. Does anyone know how more details about the life of William and Mary Hood can be uncovered ?. I have phoned East Renfrewshire's phone number on the cemetery gates and i am hopeing for some feedback to my answermachine request. Why is Stan Laurel's mother's grave unmarked ?. I recently read Simon Louvish's book on Stan and Ollie and he mentions that Stan stayed at Stonelaw Road and Buchanan Drive in Rutherglen circa 1915-18. Does anyone know the exact addresses ?. Is the fact commemorated in any way ?. 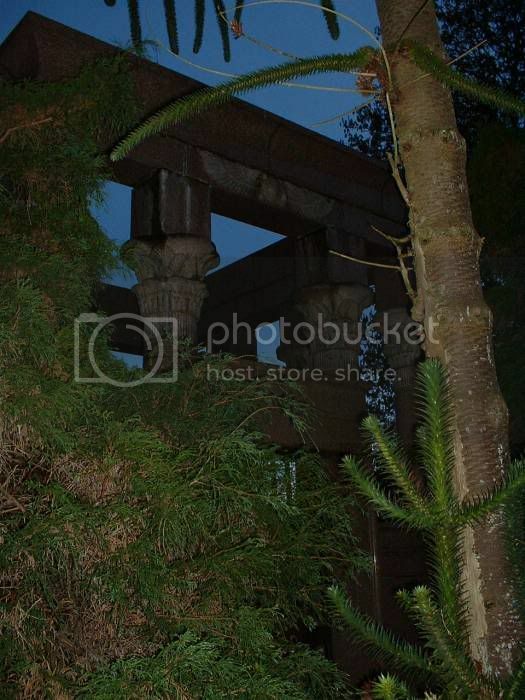 I also believe that the monkey puzzle tree was planted for effect at the Hood mausoleum. I could not see the head of Anubis(It was me that made the earlier post that is referred to in this series of replies)I suspect that it has been taken as a "trophy" by the people who vandalised(or should that be desecrated)the grave. I think you're right about Hood being a butcher, as you say: Ronnie's your man for this subject, you could try sending him a PM? Hood was a Butcher. Gavin Stamp's book on Thomson mentioned that Mr Hood bought "The Knowe" in 1892 and renamed it "Nile Park" the third owner renamed it "The Knowe". Do you think Hood's mutton pies were pyramid shaped? And what did his shop (or shops, presumably, if he lived in The Knowe and built that grave) look like ... magnifying glasses and deerstalkers out, folks. It is great to see the feedback this topic has generated. I clearly remember the whole structure being intact about 20 years ago. Unless my memory is playing tricks on me i am sure it was Anubis the jackal lying on top of the grave(I believe he is keeper or watcher of the dead in Egyptian mythology). Nice one Ronnie regarding the Incorporation of Fleshers i will be sure to check it out. I am awaiting some feedback from East Renfrewshire and i will keep the forum posted. Regarding the shops who knows what shape the pies. I think going by the grave and Mr. Hood's ownership of "The Knowe"(which is still standing)this was a man of considerable wealth in his trade and probably owned quite a few shops.